Simply Spray Fabric Paints are some GREAT paints!!! I had the opportunity to review these products and as a family we THOROUGHLY enjoyed using them. Now...we ARE amature artists....so our shirts are a bit...well...rusty looking, but we had a great time doing it and the kids are already asking when we can do more! I went to Hobby Lobby and just bought some plain white t-shirts. You can also get bulk t-shirts at Walmart or any other store. I watched all of the how to videos on the Simply Spray website and read all the how to literature before doing this. Angela has some really great video's and tutorials on her site! I really felt like I knew what I was doing when I got to the good part! So...one night, we set out some newspaper on the kitchen table...and one at a time, the kids laid their shirts down...told me what kind of deisgn they wanted and off they went! Cam and Jake tried to write on their shirts. It is a bit more difficult to do that and actually be able to READ what is on their shirts...but had they had stencils they would have been fine. Major and MaKenna opted for your normal tye dye look. I went with the breast cancer ribbon and Jeff had to go with the UT emblem! The funny thing is...the very FIRST t-shirt that I did which was the guinea pig t-shirt came out by far the best!! I did it in tye dye also. It is not pictured here since it was just a trial t-shirt. However, for Halloween, I am a Rastafarian. So I have been wearing my tye dye shirt...the first one I made...and I have gotten so many compliments on it! I have already been able to spread the word of Simply Paint!! Check out the Simply Paint website and see what you think!!! What a fun fall project for you and your family!! Make your own t-shirts for your Christmas cards!!! :-) I think we might do that next year!!! I want to thank Angela from Simply Paint for allowing me to review this product and for allowing me the time to do it. I was supposed to have completed it months ago...but life happens! :-) Woops! 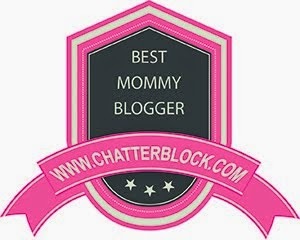 Sorry Angela...but I am so happy that I was chosen to review this product, it really was a lot of fun for our family to do together!! Care Bears: Welcome to Care-A-Lot! I was given the awesome opportunity to review a brand new show that will be on The Hub TV Network! The premier of Care Bears: Welcome to Care-a-lot, showed on Saturday, June 2nd on the Hub. In the package that I was provided, I got an episode to show my house full of kids, activity sheets with stickers, crayons, pencils, notepads and game ideas and recipe ideas for the party. First we all watched the episode. There were 7 kids here total, ranging from the age of 4 to 13. They had a lot of fun!!! Lots of giggles and lots of noise!! Then the younger ones wanted to do the papers that were sent. There were coloring pages, word searches, and other fun games. New Soft Scrub Advanced Surface Review and Giveaway! Presenting New Soft Scrub Advanced Surface. A better way to clean premium surfaces! 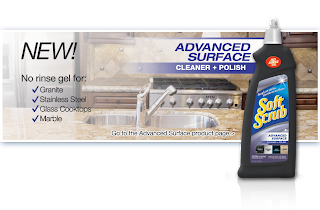 New Soft Scrub Advanced Surface is the rinse-free gel that cleans and polishes granite and marble countertops, glass cooktops, and stainless steel. Soft Scrub Advanced Surface is both tough on stains, and gentle on even your most delicate surfaces. ow you can get the cleaning performance yo've come to love from Soft Scrub in an easy to use gel. Just apply to the surface and wipe away with a sponge, cloth or paper towel. You'll be amazed at how easily grease and grime disappears. Tough on stains, Gentle on Surfaces. Available where Soft Scrub creams are sold. 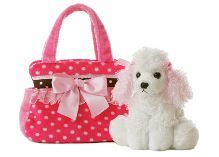 MAKE SURE YOU ENTER THEIR SWEEPSTAKES BY CLICKING HERE!!!! Rohto Cooling Eye drops review and giveaway! Mickey's Roadshow LIVE! Omaha, NE!! Disney Live! Mickey's Rockin' Road Show!! Hi! My name is Tonya! I am a middle school teaching mom of 4 hockey players, aged from 9 to 18! We LIVE at the ice rink! I designed this blog as a hobby for people to see real life...life at the ice rink...and have reviews and giveaways! Can I get a WOOT WOOT?